Chris Haney, co-inventor of Trivial Pursuit , the world's number one trivia board game, has developed Timetripper , an exciting new trivia guessing game with a past and an attitude. According to Haney, "With Timetripper , baby boomers, smart Gen-X-ers, and people everywhere can have a blast guessing the year of great events of the 20th century. 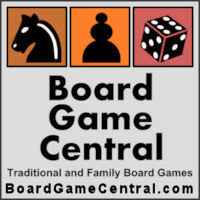 A handicap cube heats things up because you don't have to be exactly right with your answer. Players are amazed by memories that they might not have thought about in a long time." 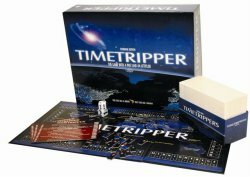 Timetripper was developed over a year of intensive research and design by Chris Haney, the co-inventor of Trivial Pursuit with friend and fellow journalist Scott Abbott. Called "the biggest phenomenon in game history", by Time Magazine, Trivial Pursuit has sold more than 90 million copies worldwide since its introduction in 1982. Timetripper , published by Mad Hatter Toys & Games, was introduced at the Canadian Toy and Hobby Fair in Toronto. Note: This is an archive post; it was originally published on February 3, 2006.